All of these goals can be achieved through branding on custom plastic bags. Through relaying your company’s information and brand through the bags you give to your customers, you can increase visibility, recognition and identity beyond the initial transaction. If you want to build your brand and expand business, using custom bags may just give you the edge you need in your field. Even with the addition of mobile and digital interaction, companies find that they must still create a comprehensive image in the minds of consumers. In fact, the recent digital/mobile renaissance encourages companies to brand simplistically, choosing a single icon or one-word name to identify the company and its offerings. Marketers are anticipated to spend $8.2 billion on mobile marketing by 2016. Every dollar spent is only as good as the return on the initial investment. Companies want to maximize their marketing investments and maximize the return they realize. Using custom plastic bags for normal business activities puts your image directly into the hands of consumers and shares that image with anyone they come into contact with. 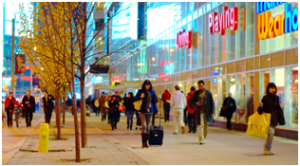 Every bag essentially becomes a mobile billboard for your company, catching the eye of every passerby. 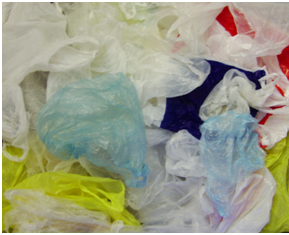 Furthermore, roughly 12% of plastic bags are reused at least once. This means that your brand image will be seen again and again for the duration of the bag’s functional life. Using recyclable plastic bags can be an extremely affordable way to expand your image. Consider getting our custom plastic bags to further grow your company’s brand. As mobile and digital platforms rise astronomically in the marketplace, the use of physical print media has somewhat diminished. Companies do not see the same return on investment through physical branding as they can realize through digital marketing. This does not, however, mean that physical branding is no longer essential; it only means that it must evolve. One of the ways physical branding evolves is through condensing. By combining multiple physical print ideas into one solution, a company can reduce its investment in physical marketing but still see a strong return on investment. If you are a company that sells tangible goods, there is a good chance that you are already using bags for customer purchases. Instead of using separate business cards, pamphlets or brochures, you can roll all of your imaging into one investment by putting your brand on your custom plastic bags. This allows for the maximum benefit and return on investment for a convenience that your customers already need. To stay current and relevant in the marketplace, many companies are using their brands to create trends. This sense of uniqueness and exclusivity can elevate a brand in consumers’ eyes, making them more likely to associate the brand with a greater perceived value. Using the wealth of marketing knowledge available today, businesses can tailor their campaigns or images towards a specific audience with greater accuracy and precision. If your company is looking to start a trend, imprinting a slogan, image or logo onto a bag can boost awareness of the campaign. Bags can even be used to link to a digital campaign or social media presence. Currently, 52% of all marketers have found a new customer via Facebook alone in 2013. By using your custom plastic bags to link to your social media presence, you can connect your customer further with your brand and even introduce new customers to your presence. Studies show that visual data is processed 60,000 times faster by the brain than text. By combining the visibility of your bags with the human propensity for image recognition, you can passively build an expanded customer base through an existing investment. Companies often may use their brands as a means to connect their customers with the values that the company was built on. Whether organic farming, climate consciousness, energy efficiency or philanthropic pursuits, companies want their consumers to connect with similar values. What trendy custom bags have you encountered? How did they affect your opinion of the brand? Share your story with us by commenting or emailing. We would love to hear your feedback. With so many different trends in marketing today, it is important to find an investment that offers a good rate of return. Custom plastic bags are a practical, inexpensive, and useful tool to expand your brand image and raise awareness of your company. Contact us to learn more about the different types of bags that we offer and see how you can take your marketing to the next level.